NYC, 02/21/2019, 6:30PM. 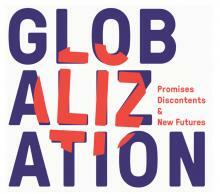 Globalization: Promises, Discontents and New Futures. Globalization can also be observed from within. That is from the point in time and in the space in which we are physically placed. This look, which is also that of our everyday life, leads us to see the "global" through the experience of the "local". A local that, precisely because of globalization, and the connectivity that is the main responsible, has profoundly changed compared to that of the past, becoming a hyper-local: a hybrid environment given by the integration of the physical space of proximity (in which we find ourselves and in which we interact with the people and things that are close to us) and the space of global connectivity (the limits of which are determined by the tools we use to see and act in the networks we are part of). The lecture by Ezio Manzini discusses how these two trends define our field of action. And, with it, how they affect our life projects and the politics of the everyday that we put in place by confirming or transforming the socio-technical systems we are part of.